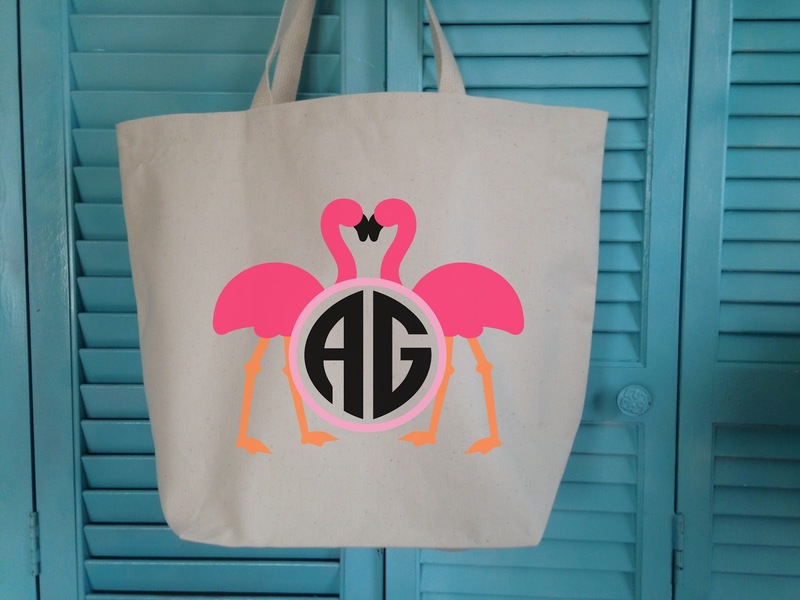 There's more than one way to style a monogram - in fact there are lots of ways! How you style a monogram depends on several factors including who the monogram is for and where it will be applied. 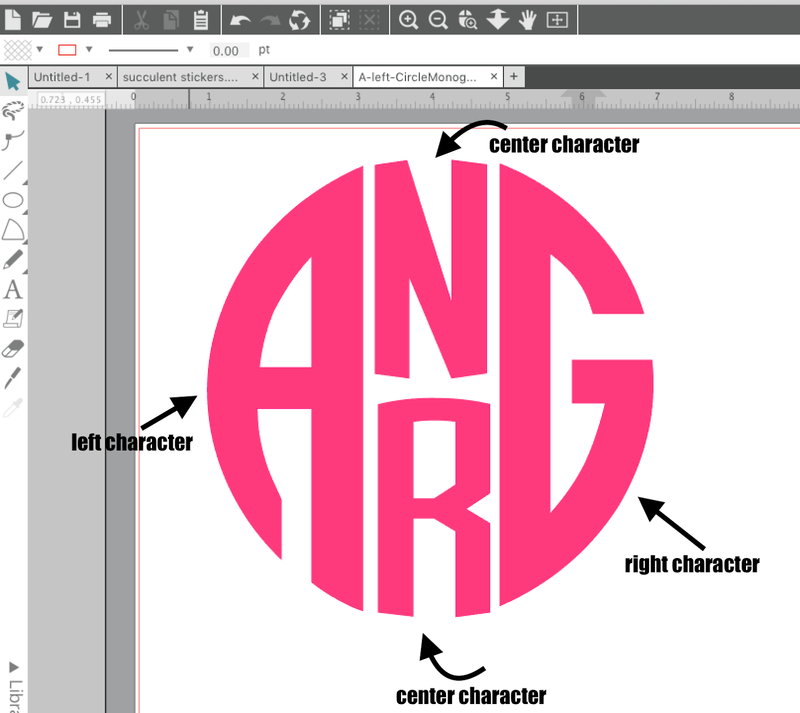 Today we're going to take look at five ways to style a monogram - covering single letter, circle, and the always challenging 2 and 4 letter monograms. 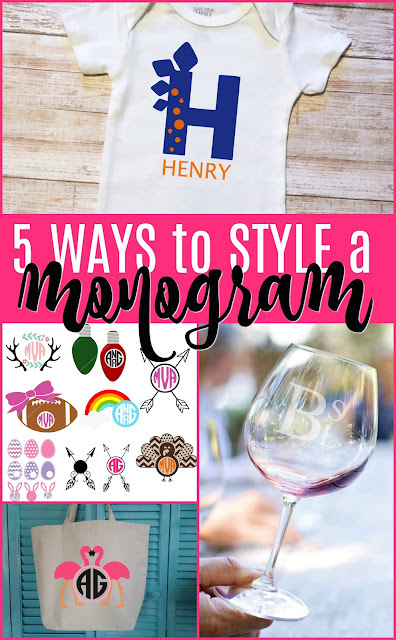 I'm not going to pretend to be the monogram police or a monogram expert..I'm just going off some tricks I've learned along the way so feel free to comment with your favorite way to style, stack or circle a monogram! 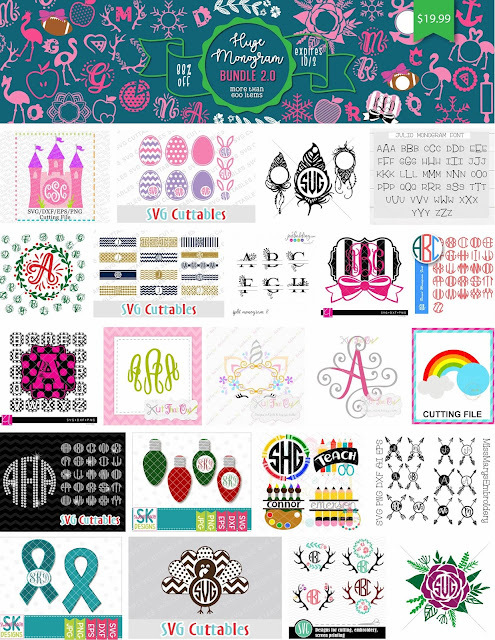 And if you're into monograms - which you clearly are because why else would you be here - check out the Huge Monogram Bundle 2.0 on our sister site So Fontsy! 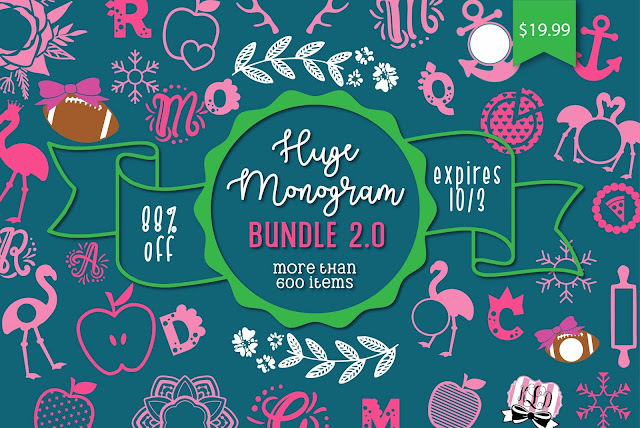 Everything used as examples in this post (with the exception of the stack monogram font - which is just Times New Roman) is included in the more than 600 items in the bundle - but hurry it expires on October 3! Single letter monograms are perfect for family last names especially when used on decor, wood signs, and as wall decals. You can get a little fancier with the monogram frame when using just a single letter monogram because there's not quite as many characters to compete with. This wreath monogram frame includes all alphabet characters as well and of course you can change the colors and sizing as needed. Specialty fonts are also perfect for using as single letter monograms because they make a big impact. 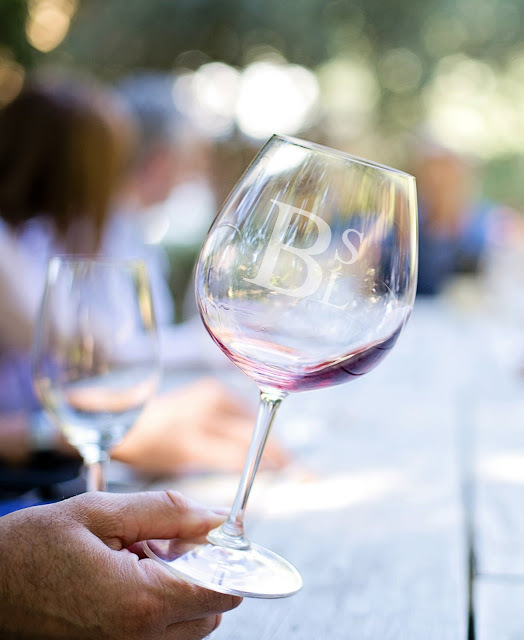 Let them stand alone or pair them with a simpler, small font for added detail. The always popular circle monogram is great for pretty much any application and anyone - young or old, male or female! Use it with a frame or without a frame. Use the negative or the positive, make the circle monogram with 2, 3, or 4 letters! 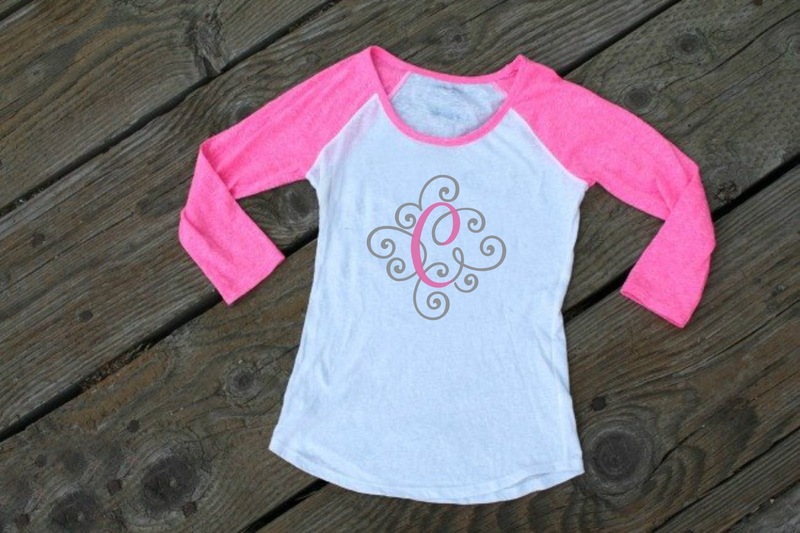 A two letter monogram is a simple take on a classic monogram style. One little trick is to start the left and right characters from a traditional three letter circle monogram alphabet set such as 3 Letter Monogram Alphabet Cut File. Line up the two characters. Now because you're not using the middle character your monogram is more like an oval than a circle. But you can fix this by selecting both letters and using the top center node on the selection box to squish them down slightly until they form more into a circle. If you need it, draw out a perfect circle in Silhouette Studio by holding down shift while using the Draw an Ellipse tool. Use that as a guide to determine if your two letter circle monogram is "circle enough." 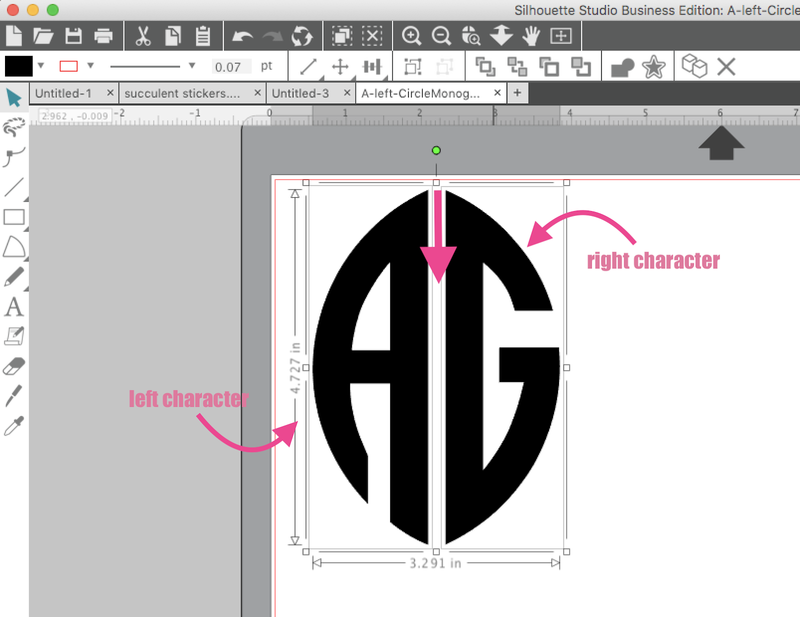 The same concept - and font - can be used for a four letter circle monogram. 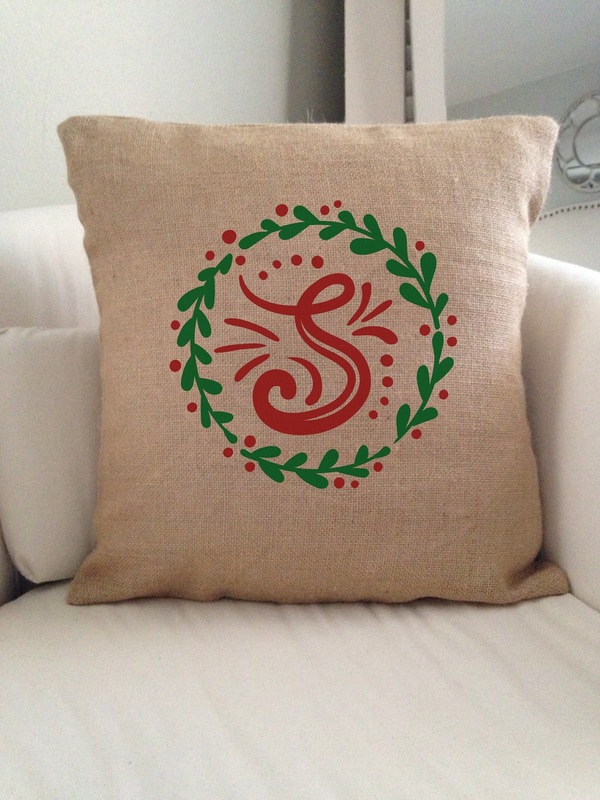 Four letter circle monograms are great for those with hyphenated first or last names creating four initials. 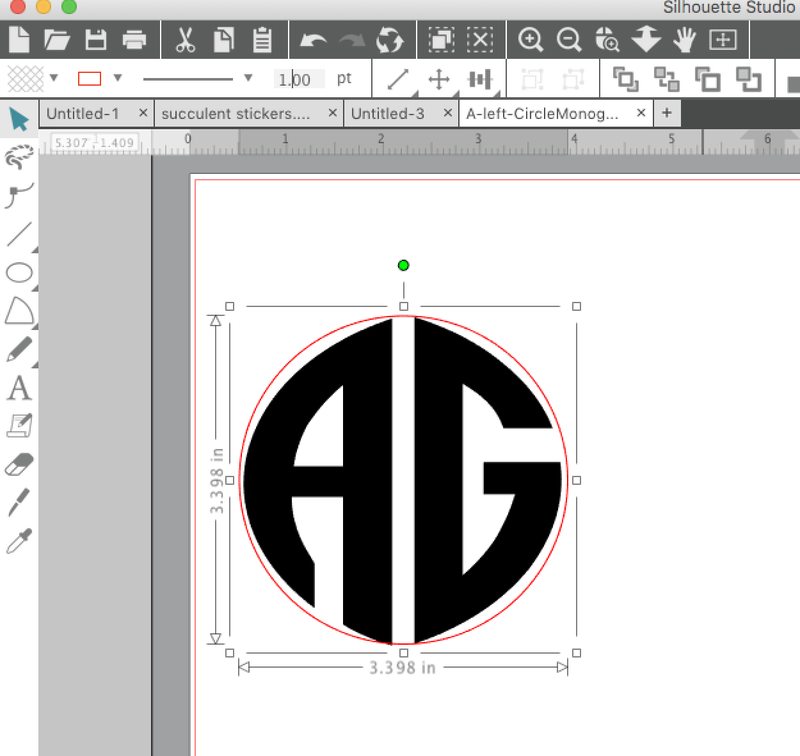 To use a traditional circle monogram alphabet set for four letter monograms use one left character and one right character for each side of the circle. Then select two center characters and stack them in the center. You'll likely need to pull the two center characters to widen them to create the circle. Just like a traditional three letter circle monogram you can use these four letter circle monograms in circle monogram frames or on their own! Finally...stacked monograms. Stacked monograms are great for more formal occasions and for men who aren't fans of swirly fonts or cutesy circle monogram frames. With the right font, a stacked monogram can be elegant, classy, and masculine all at the same time. The font used here is the traditional Time News Roman. 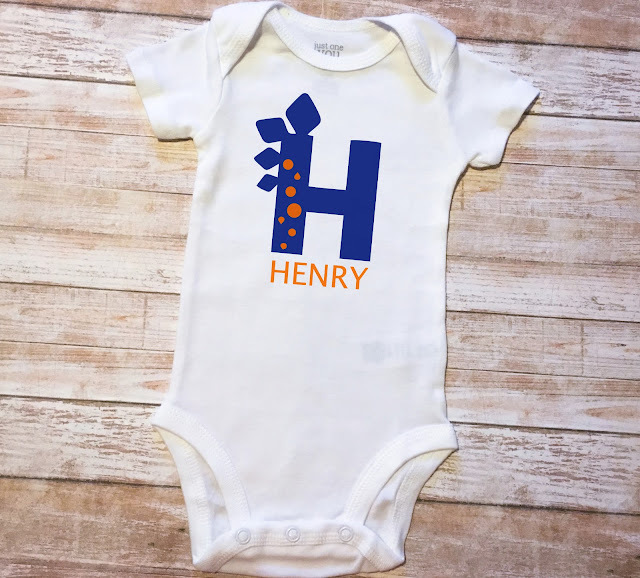 With a stacked monogram the last name initial would be enlarged on the left with either the first and middle initials or a couple's first name initials stacked on the right. 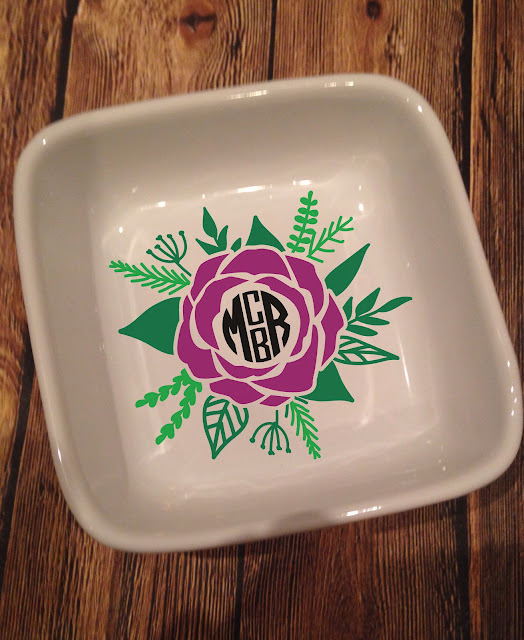 And here's a Silhouette trick for monograms...if you're always using the same monogram over and over again, save it to your library or hard drive after you create it so you can simply open it and quickly place it in all those fun monogram frames without having to re-create it every time! 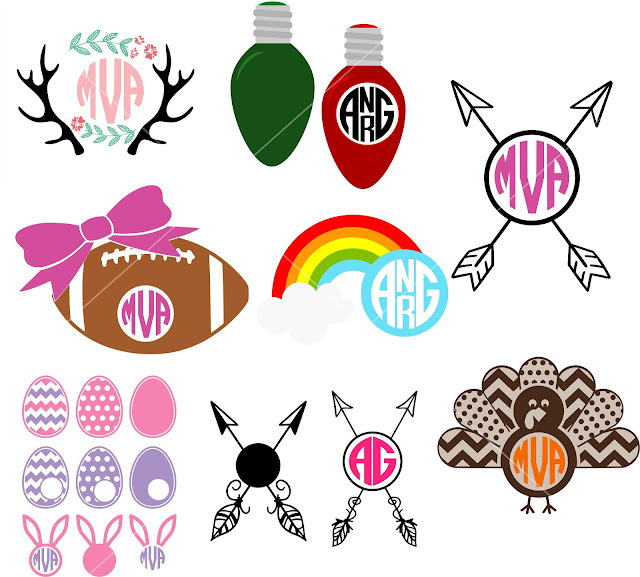 Don't forget to grab the Huge Monogram Bundle more than 600 commercial use items included for $19.99! Hurry it expires in just a few days! !